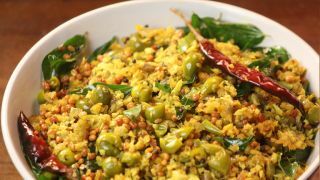 In a pan, add 3 tsp of oil and splutter mustard seeds and urad dal. Add curry leaves and washed turkey berry to it along with turmeric powder, salt and required amount of water. Let it cook well. Add coarsely ground mix of coconut, cumin seeds, green chilies and garlic. Cook it for 2 minutes with lid closed. Sauté till the water reduces completely.